Indexed universal life insurance (IUL) is a type of permanent, cash value life insurance. Like universal life insurance (UL), IUL offers you the ability to change your level of protection, premium amounts, and payment frequency. IUL combines the guarantees of whole life and the policy flexibility of universal life with the chance to have cash value growth tied to the performance of an equity index, but without exposure to losses resulting from unfavorable index performance. Life insurance companies develop new products to meet changing insurance needs and demands. For many years, whole life insurance (WL) met the need for permanent life insurance protection by providing a permanent death benefit, fixed premium, guaranteed* minimum interest, and sometimes dividends. But WL does not offer you much flexibility relative to premiums, death benefits, and earnings. Universal life insurance adds flexible policy features not found in whole life. UL gives you options regarding the timing and amount of premium payments, and the opportunity to change your death benefit (increasing the death benefit may require additional underwriting). UL policy cash values earn a minimum interest rate, and may earn higher interest if the policy issuer’s investments perform favorably. However, the amount of interest credited to cash values is controlled by the issuer. IUL combines the guarantees* of WL and the policy flexibility of UL with the chance to have cash value growth tied to the performance of an equity index, but without exposure to losses resulting from unfavorable index performance. Note: *Guarantees are subject to the claims-paying ability of the insurance issuer. Different rules apply to taxation of distributions from policies that are classified as modified endowment contracts. Consult with a tax professional to determine the tax status of the transaction. IUL is a form of universal life insurance with excess interest credited to cash values. But, unlike UL, the amount of interest credited is tied to the performance of an equity index, such as the S&P 500. Like some UL insurance policies, most IUL policies provide a minimum interest credited to cash values, even when the index produces negative returns. Determining how much interest will be credited to cash values is based on a number of factors. IUL issuers use different investment indexes, such as the Dow Jones Industrial Average, S&P 500 Index, and various bond indexes. The amount of interest credited to the policy’s cash value is determined by the gain, if any, in the investment index over a specific period of time or index term. The performance of the index is measured over a period of time, called the term. The term can be one year, two years, or many consecutive years. If the index experiences gain over the term, a percentage of that gain is credited to your cash value in the form of interest. The percentage of index gain applied to your policy’s cash value is called the participation rate. Some IUL issuers apply a participation rate of 100% or more for the duration of the policy. If the participation rate is 100%, then all of the gain in the equity index will be credited as interest to your cash value. A participation rate less than 100% yields a comparable percentage of index gain credited to your cash value as interest. Example: If the equity index used in the IUL policy gained 20% during the index term, and the participation rate is 90%, then the percentage of interest credited to your cash value is 18% (20% x.9). The insurance company may impose an additional limit on the amount of interest credited to your cash value with an interest rate cap. The cap, generally expressed as a percentage, is the maximum amount of interest that can be credited to your cash value during the index term. Referring to the previous example, if a cap of 12% is applied in addition to the participation rate, then the total amount of interest credited to the cash value is 12%, not 18%. IUL is permanent (cash value) insurance. The cash value is credited with interest based on gains, if any, in an equity index. IUL offers flexibility through the ability to change the level of protection, premium amounts, and payment frequency. In this way, some of your policy provisions can be altered to meet changes in your life insurance needs. 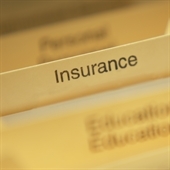 Some IUL policies offer a minimum death benefit. As long as the premium is paid on time, the coverage will not lapse. The minimum death benefit may last for the first five policy years or longer. If the lifetime death benefit option is selected, the coverage will continue in place as long as the policy premium is paid when due. Usually there is an additional cost for the lifetime death benefit option, which may increase your premium payments. Cash values in IUL grow tax deferred, meaning, in most cases, you do not pay income tax on interest credited to cash values within the policy. However, you can access the policy’s cash value during your lifetime. You can take tax-free withdrawals up to your policy basis (premiums paid), and you can take policy loans against the cash value as well. Cash withdrawals may be subject to surrender or withdrawal charges that would reduce the policy’s cash value. Also, cash withdrawals and policy loans may reduce the policy’s death benefit and cash values. Unlike the higher minimum interest paid on most UL, IUL cash values may experience little or no gain during periods of negative equity index returns. And interest rate caps limit the potential upside growth of IUL cash values. IUL has more “moving parts” than most UL policies. Caps, participation rates, and crediting methods are added features to be considered. Also, policy surrender charges decrease your cash value if you decide to surrender the policy prior to the end of the surrender period. Fees, costs, and charges associated with some IUL policies reduce your cash value. In addition, the cost of insurance increases each year as your (the insured’s) age increases. If you choose to reduce or skip premium payments, it is possible that your cash value may not be sufficient to cover the cost of insurance, in which case you may have to pay a higher premium to make up for the increased insurance charges. You want permanent cash value life insurance. You want the option to change the policy death benefit, and the amount and timing of premium payments. You intend to keep the policy for a long time (at least 10 years). You like the potential of cash accumulation found in UL, coupled with the opportunity to earn interest based on positive equity index returns. If these factors are appealing, you may want to consider IUL for your life insurance needs. However, before deciding on a particular insurance product, be sure to research the company behind it.